Drivers are the integral part of the Computer system, because they deliver a connection between the software and the hardware. The PC does not work properly if it doesn’t have Drivers for Sound, Graphics and many other things. So this tells the necessity of the Drivers and you must install a good pack of Drivers before you start using your PC. There occur different problems when you haven’t installed them. Nowadays the market is filled with different Drivers solution and you have a huge variety. But in this chunk of Drivers Pack solution there is SamDrivers which is something very unique. It’s not like the usual Drivers Packs and you will soon find out when you install it. You can also download SamDrivers 15.10. This software is very easy to install and everybody can easily access them. After installation SamDrivers runs a scan for the Driver list. 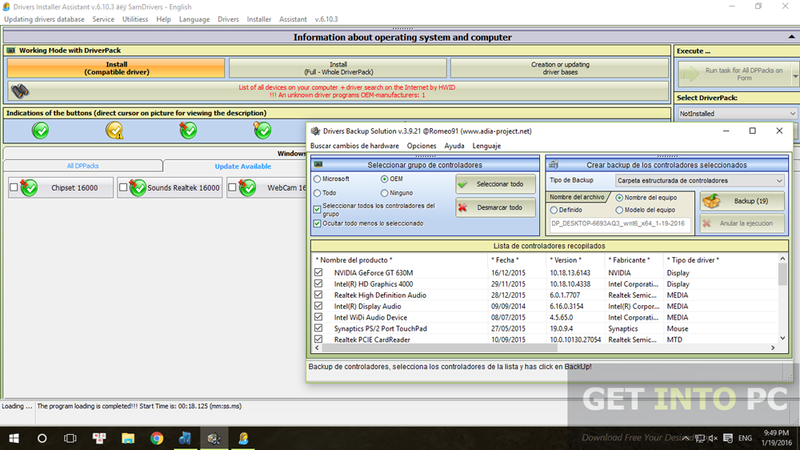 In this list you will get all the Drivers which need to be installed and updated. You can simply choose the Drivers which you need to install and then you are just a click away. It’s lightweight software and it does not create problem for CPU usage. You can also download SamDrivers 15.2.